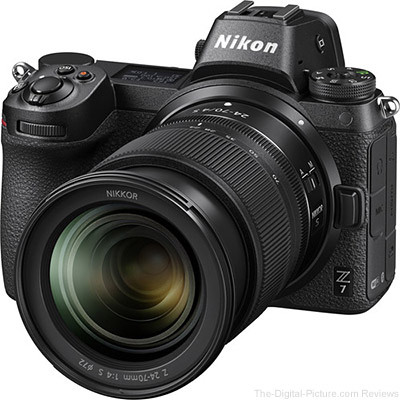 The Nikon Z7 with Z 24-70mm f/4 S Lens is in stock at B&H and Adorama. B&H also has the Nikon FTZ Mount Adapter in stock. All items come with free overnight/next-day delivery.